What can be said about the NoThreadset? Probably a fair number of your riding buddies have them. They last nearly forever. Most of us have moved the same King headset from frame to frame, winter after winter, without ever taking the seals out to clean the bearings. 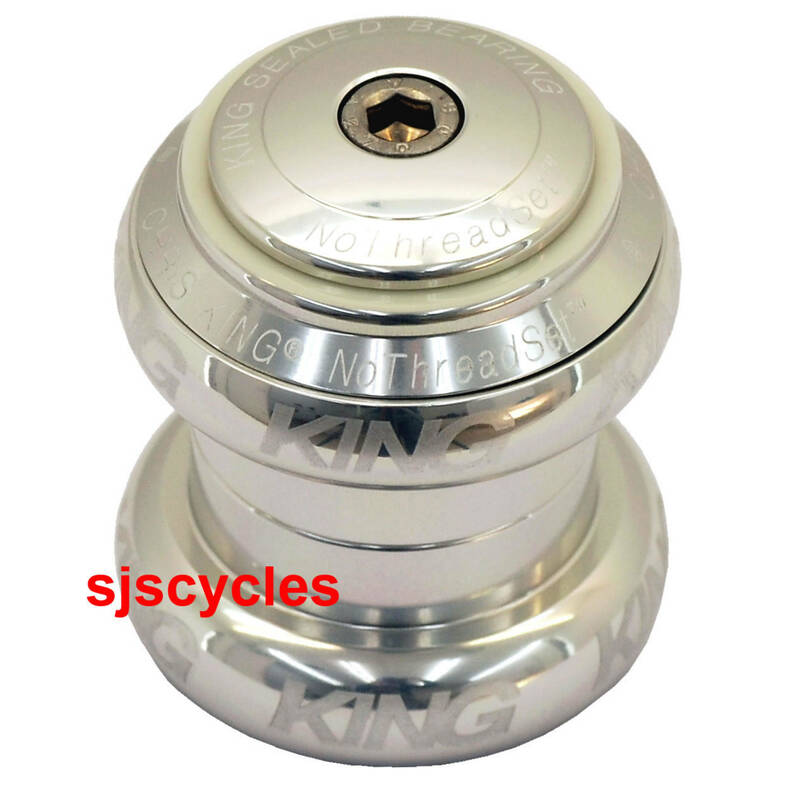 When properly installed, going beyond the 10 year warranty is normal for a King Headset. The 1-1/8" threadless headset has been a mountain bike standard for years now. Now most road bikes have adopted this size and style. It works great there too. This change has made for stronger, lighter road forks and frames. Chris King was one of the first manufacturers to offer a threadless headset. Today, our threadless headset is available in all standard sizes. Each NoThreadSet includes our custom starnut and a matching stem cap.